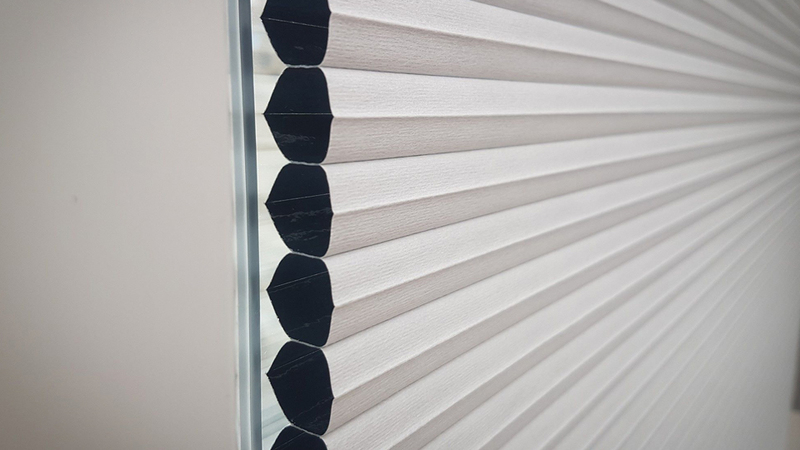 Pleated Blinds are combining stunning design with unmatched flexibility. 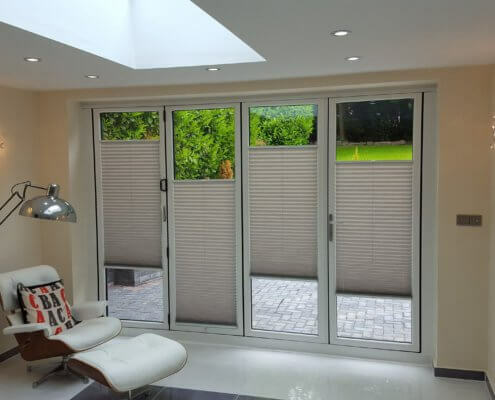 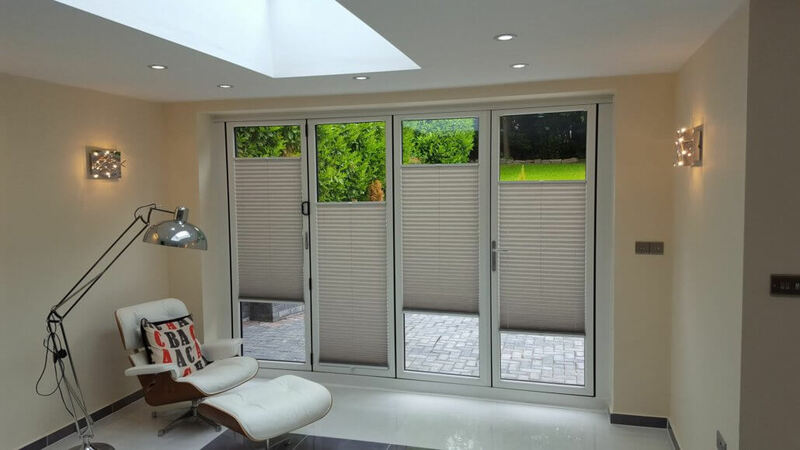 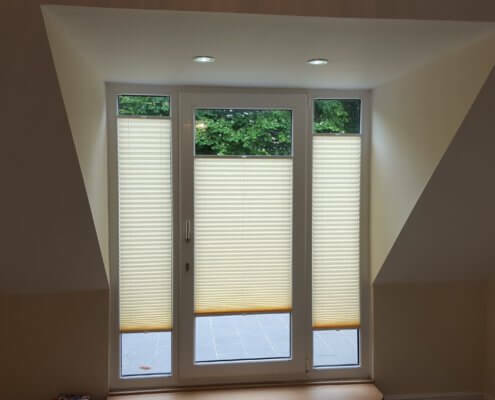 With the vast amount of available systems – they are our go-to solution even with the most unusual window shapes. 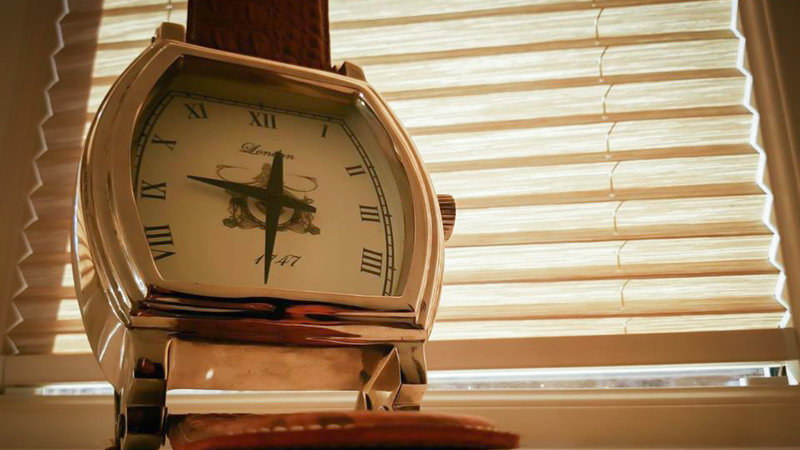 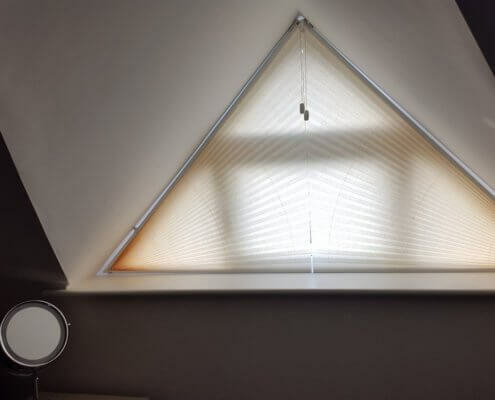 Whether your window is a circle or a triangle – we have it covered! 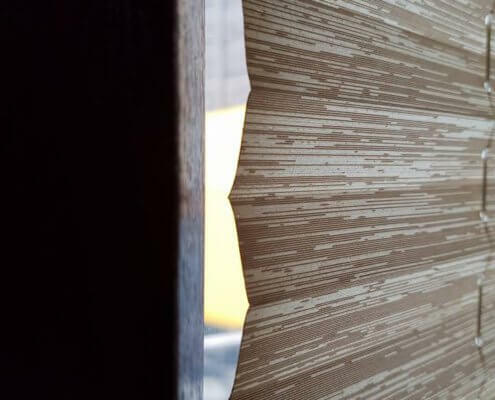 Available in over 500 designs, our fabrics will add style to any room and will satisfy even the most demanding taste. 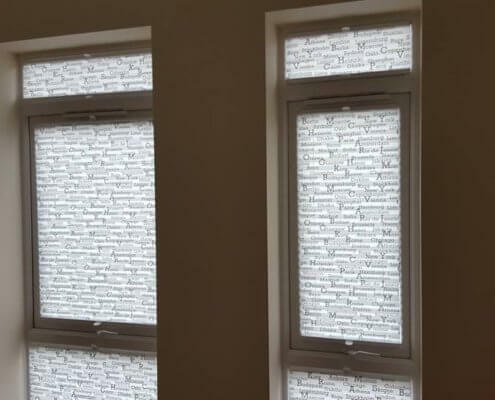 Choose from one of the 16 profile colours to give your windows the best fit, colour matched for best results. 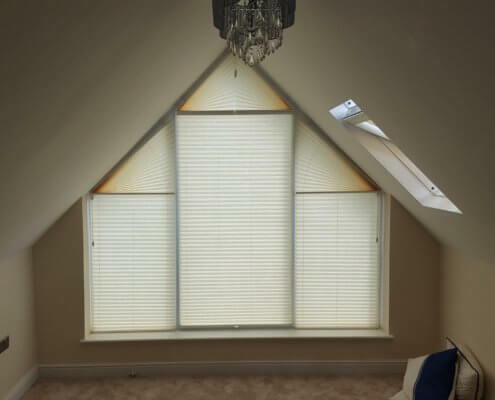 Huge selection of the fabrics will allow you to choose the right style and control the ambience of the room. 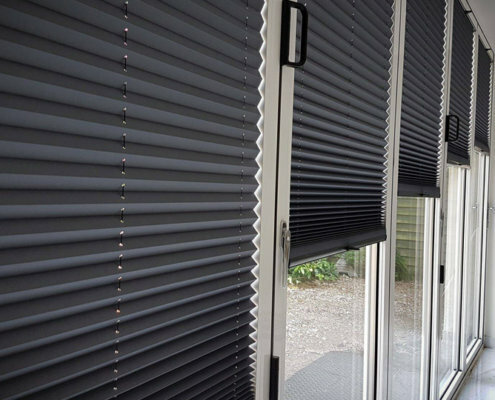 With the combination of a clever design and ability to wash the fabrics – Pleated Blinds are set to last you for years to come. 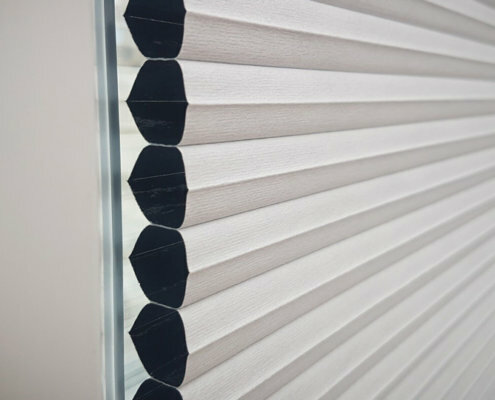 A pleat is an elegant decoration and functional visor veil, which provides the room with a distinctive look. 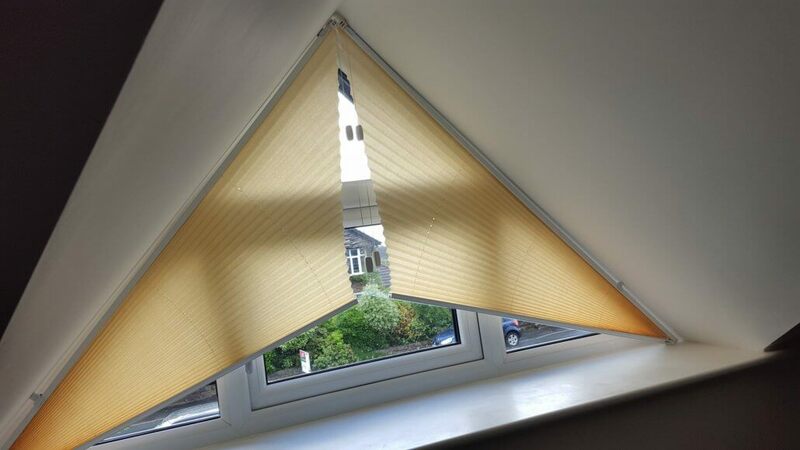 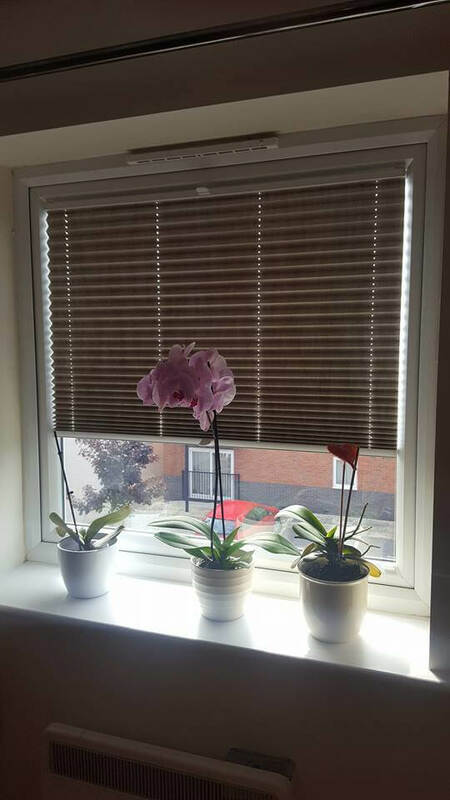 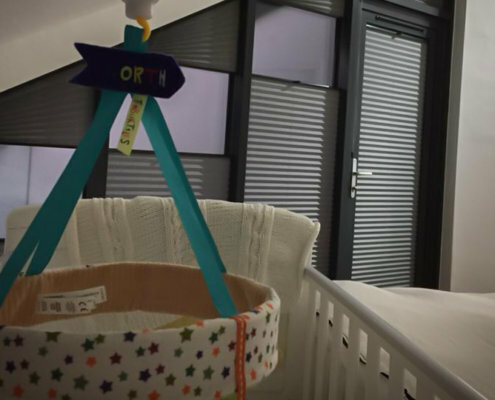 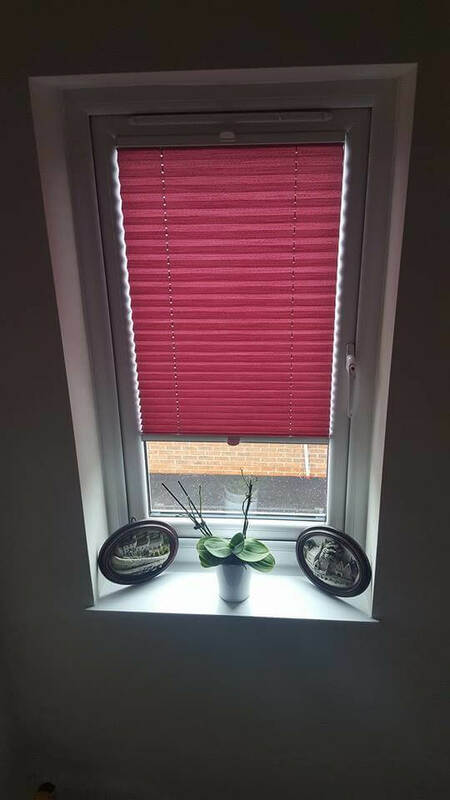 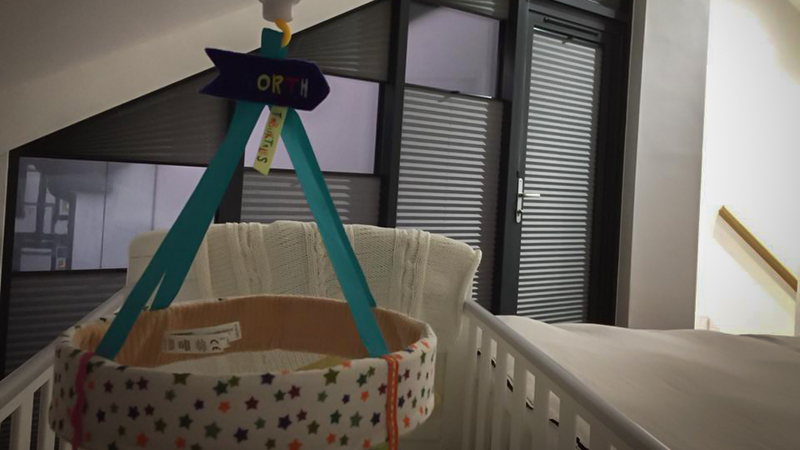 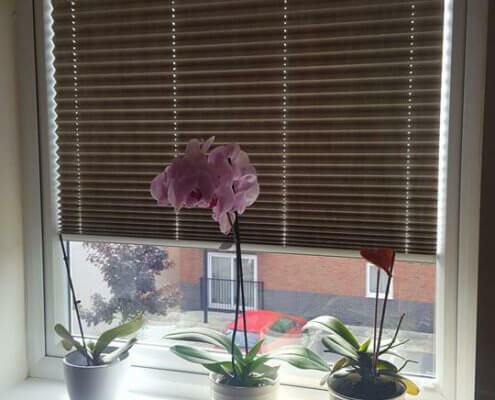 A unique feature of this kind of blinds is a system that enables sliding the blind in both an upward and downward direction. 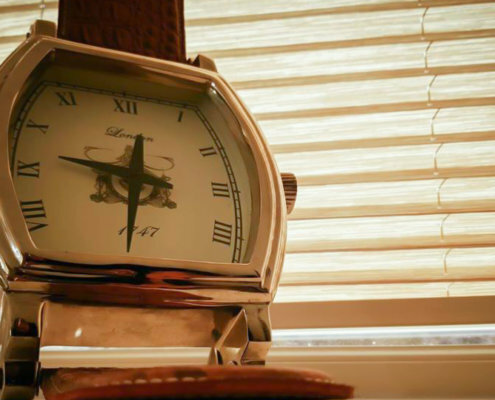 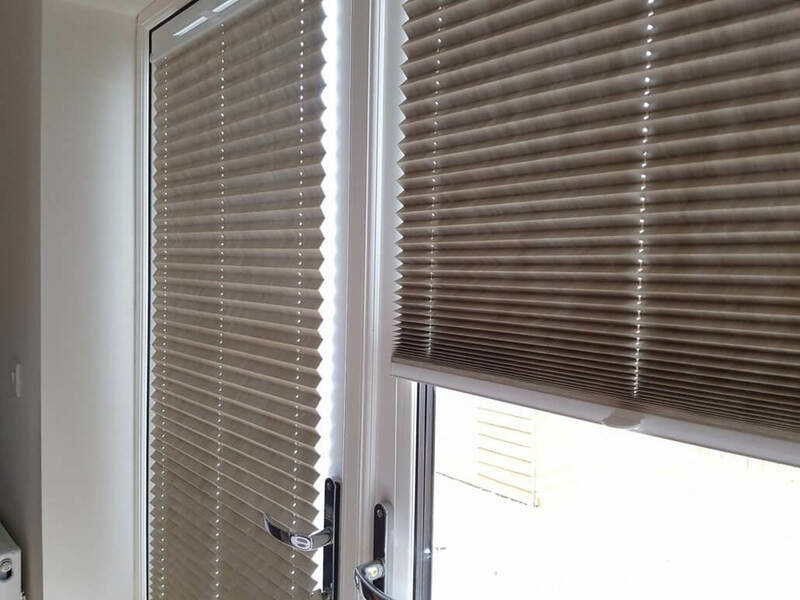 The most popular form of operating pleated blinds is a handle mounted in the middle of the profile. 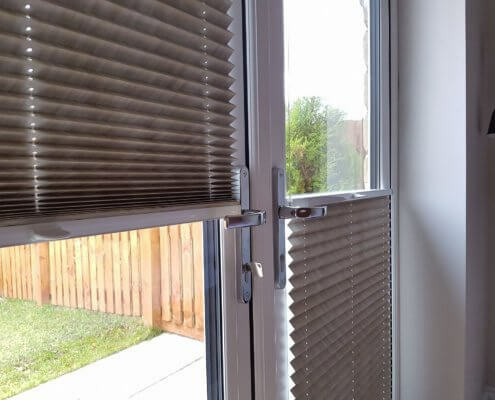 There is also a possibility to control it by means of a cord with a locking mechanism. 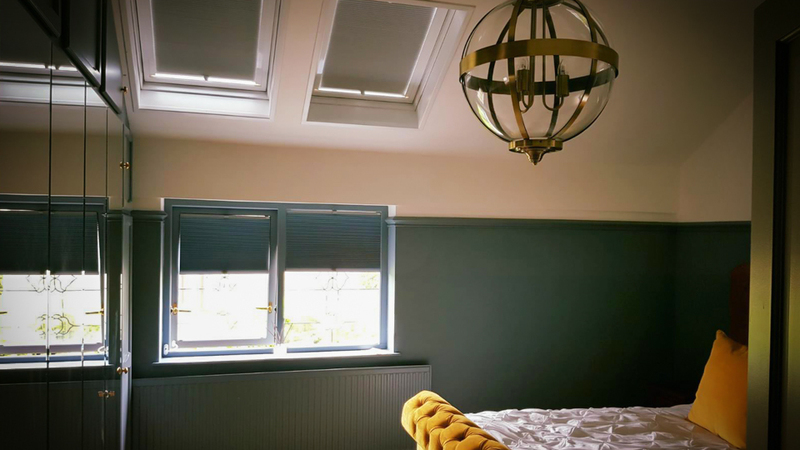 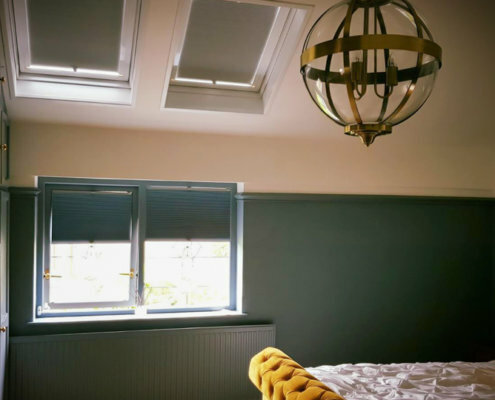 Pleated curtains can be used in all types of windows, including skylights, winter gardens and glass roof structures – it is the most versatile product. 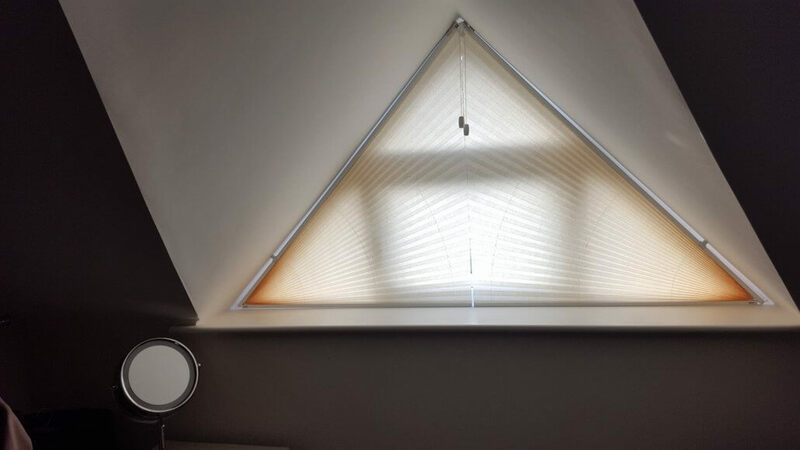 They can be used with odd shaped windows – triangles, trapezoids, arches. 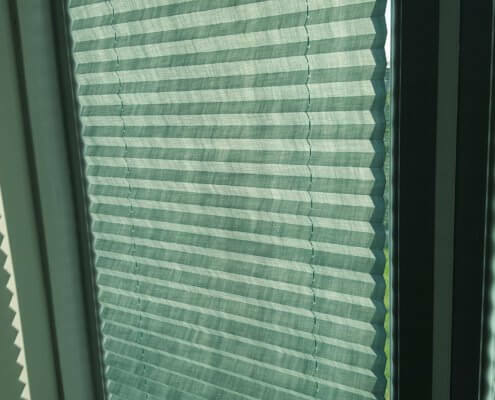 Most of our fabrics are coated with a “pearl” coating on one side, which also reflects the sun rays. 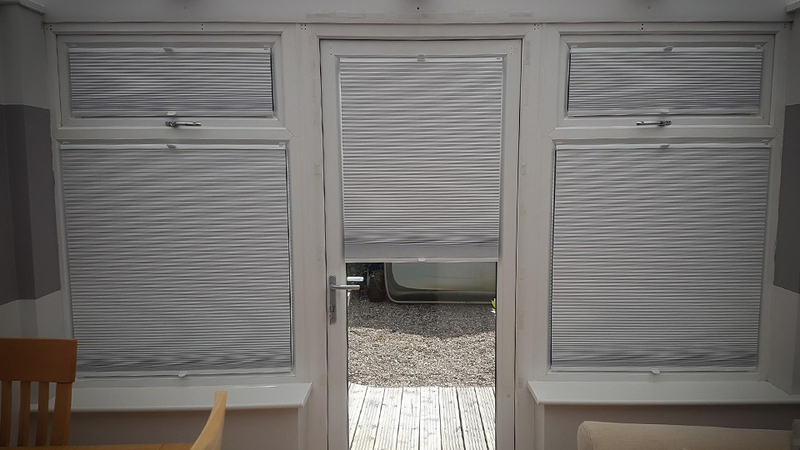 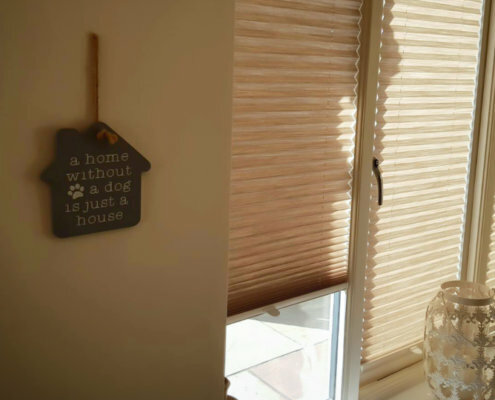 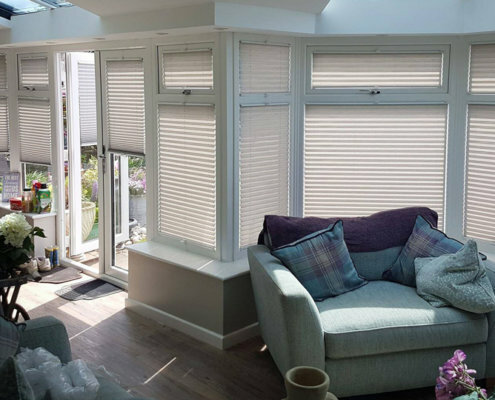 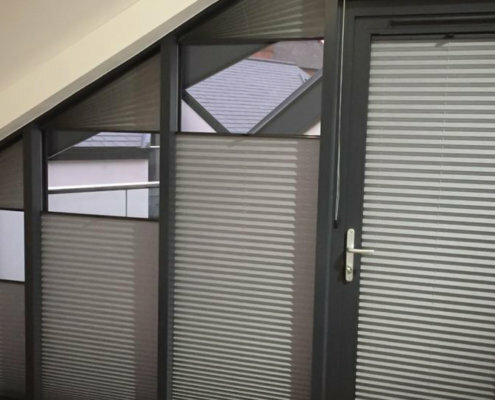 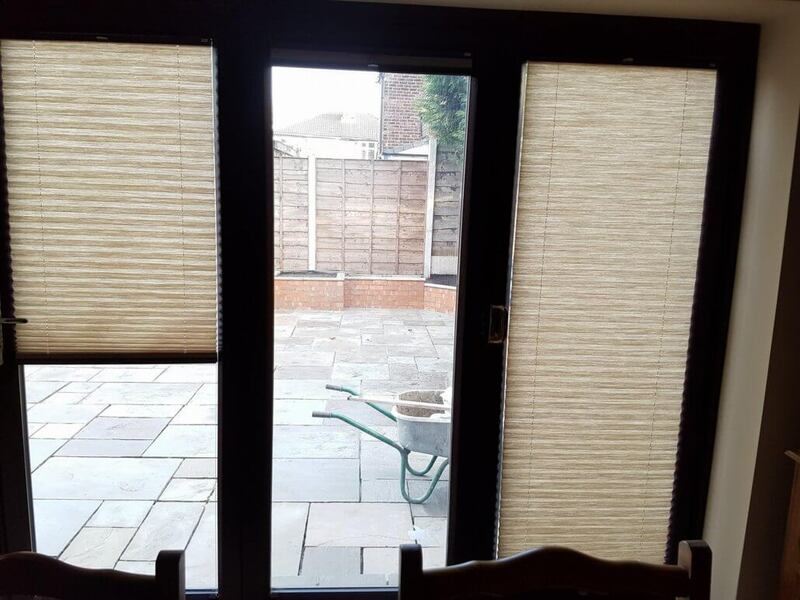 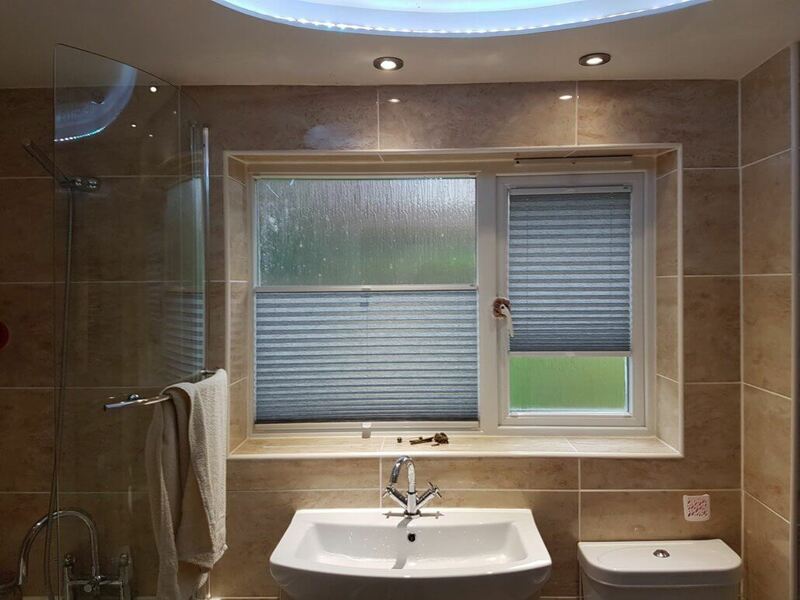 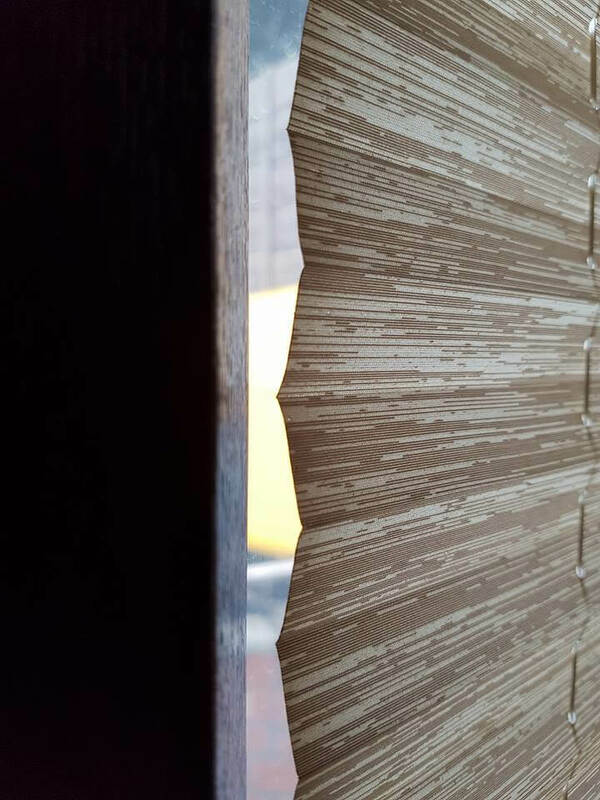 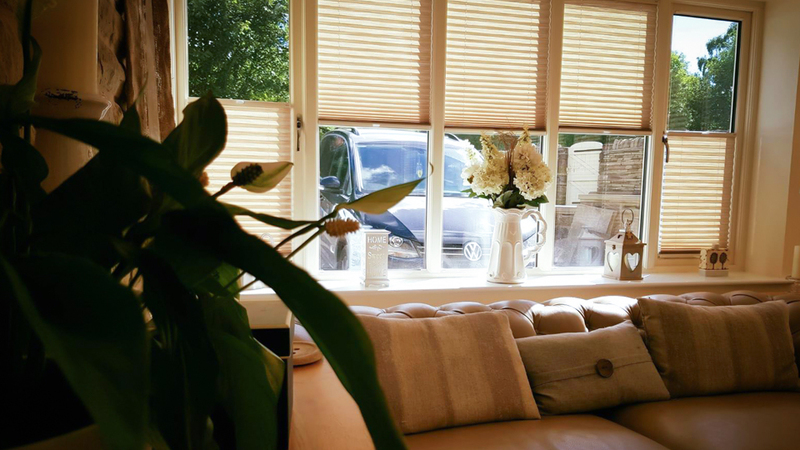 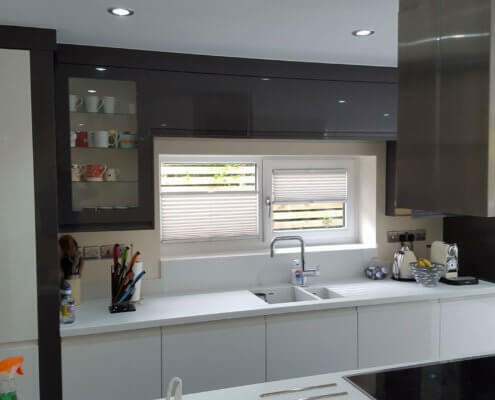 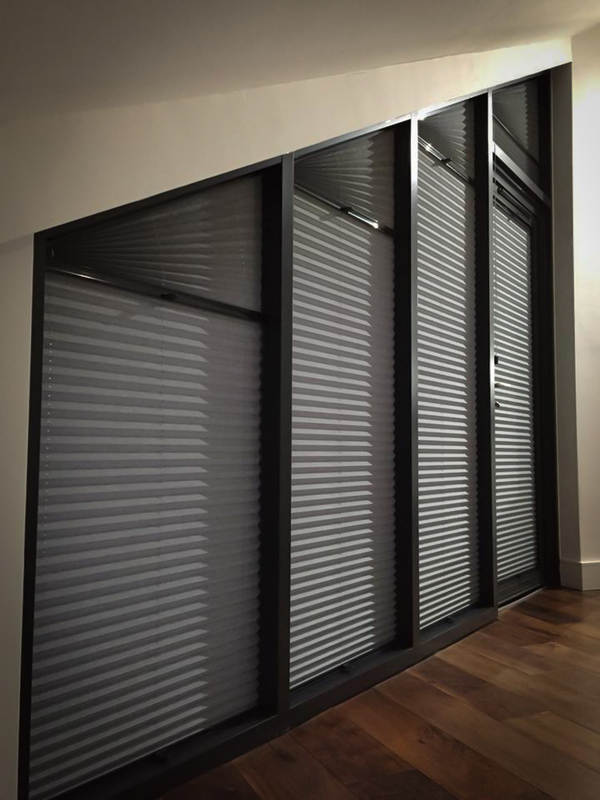 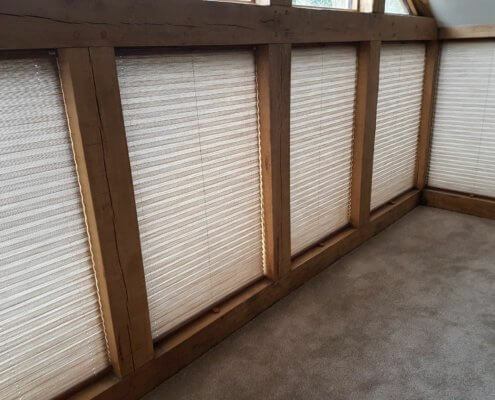 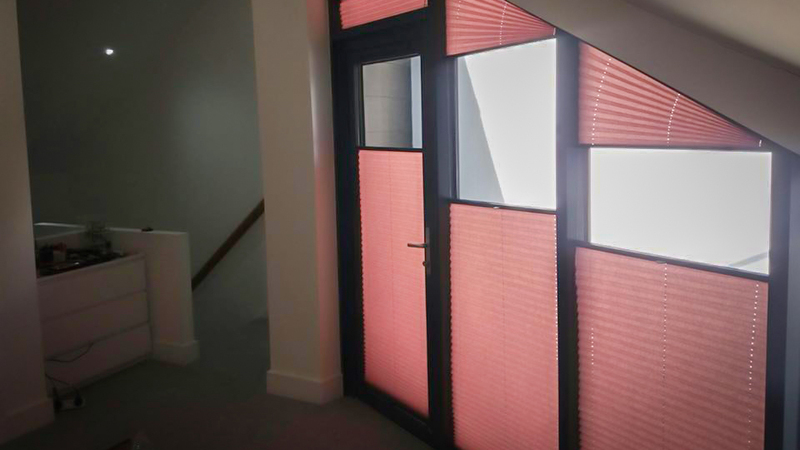 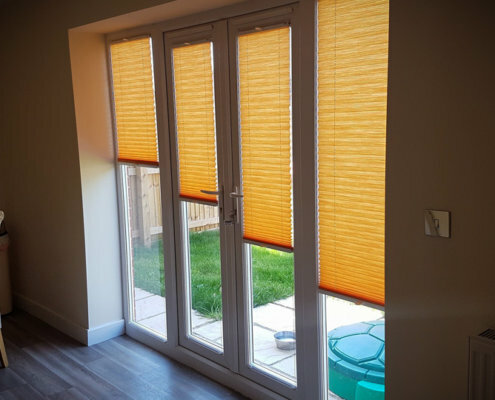 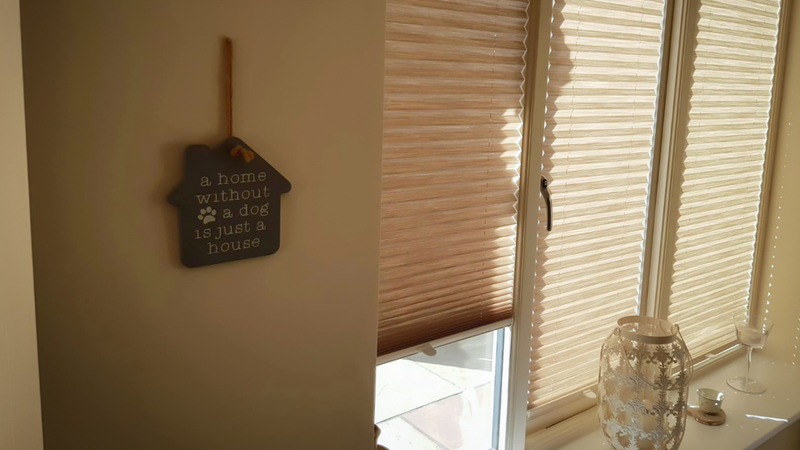 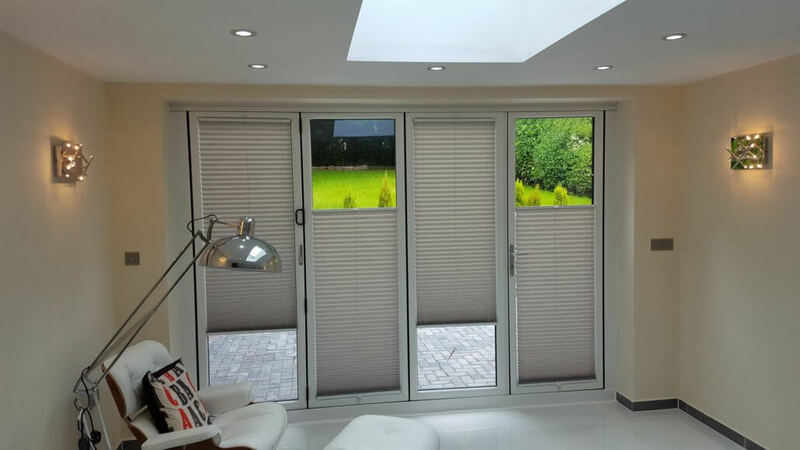 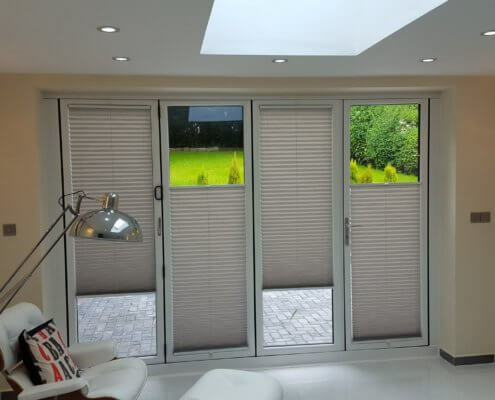 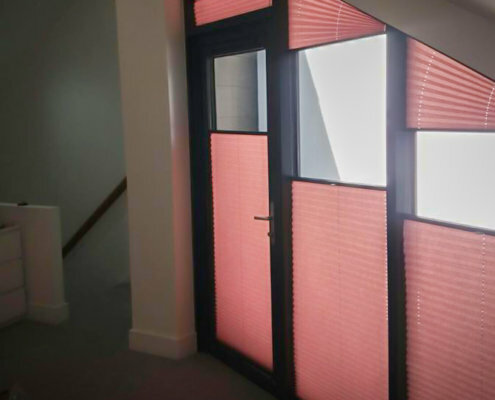 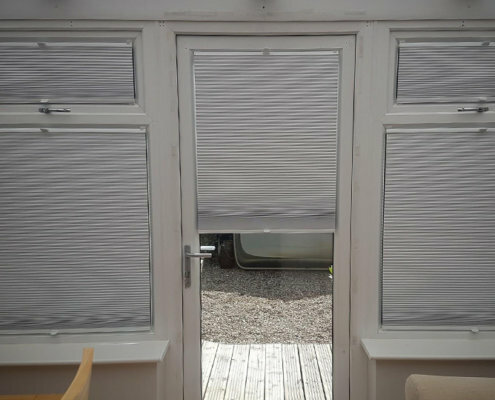 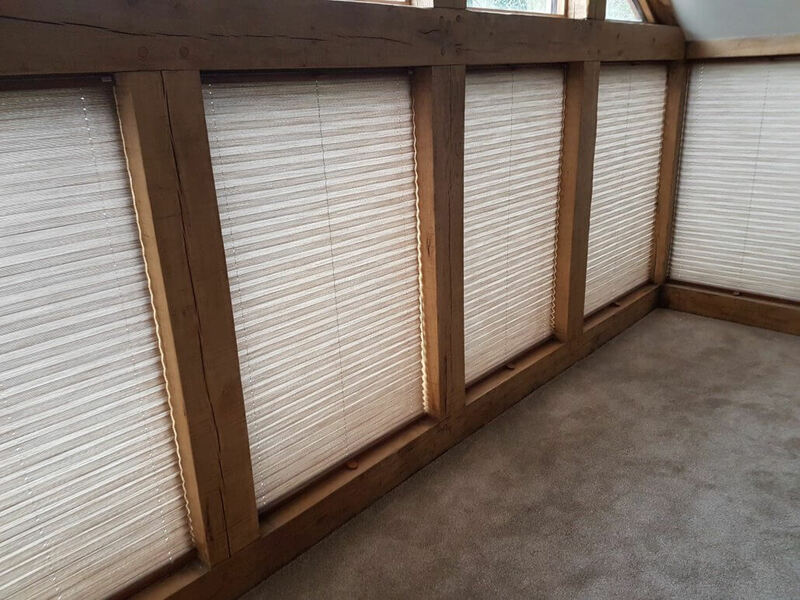 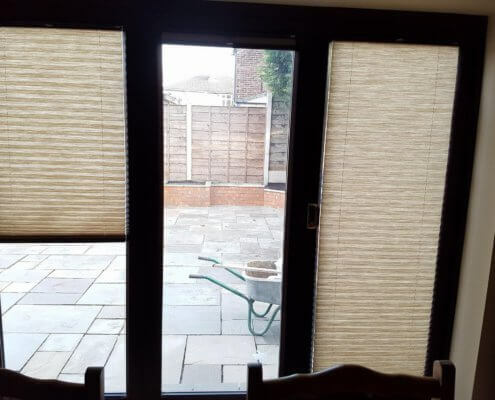 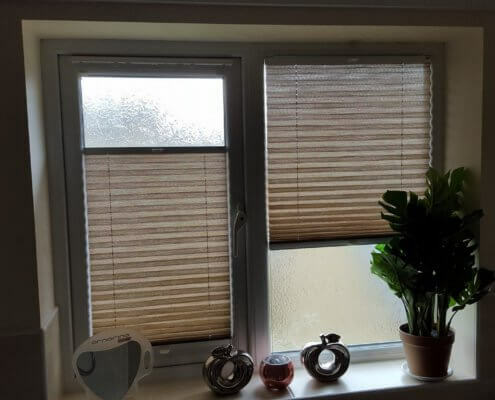 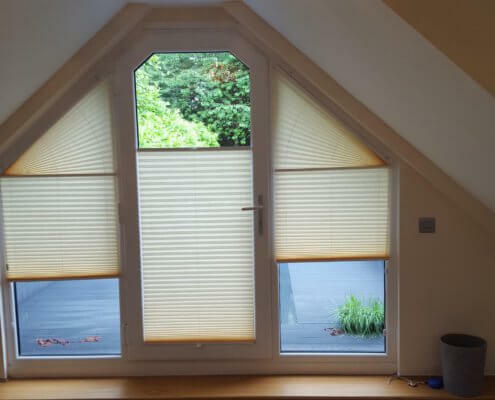 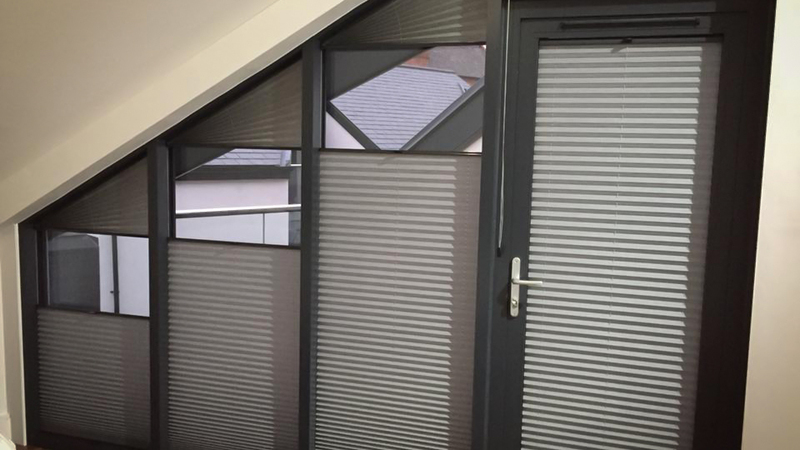 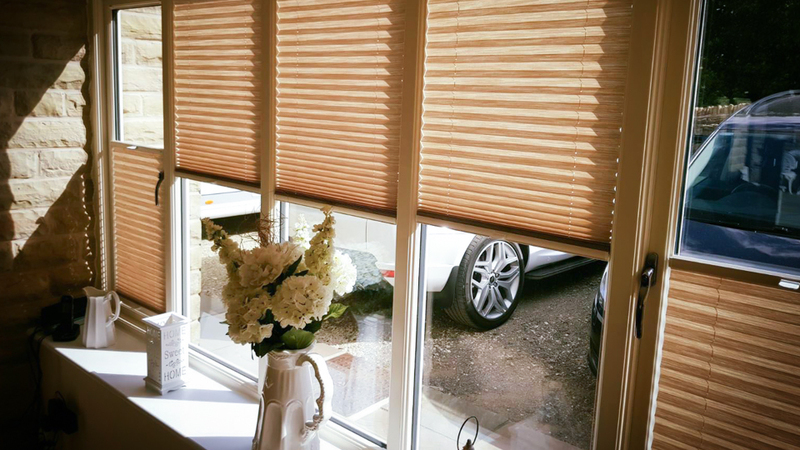 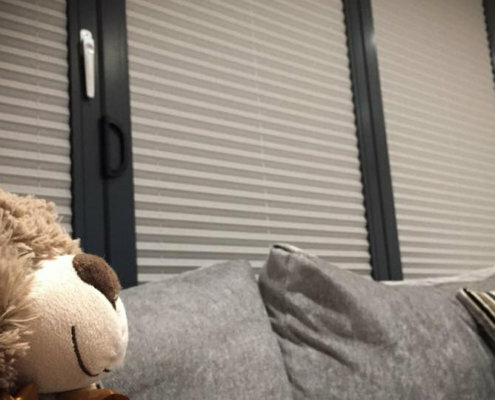 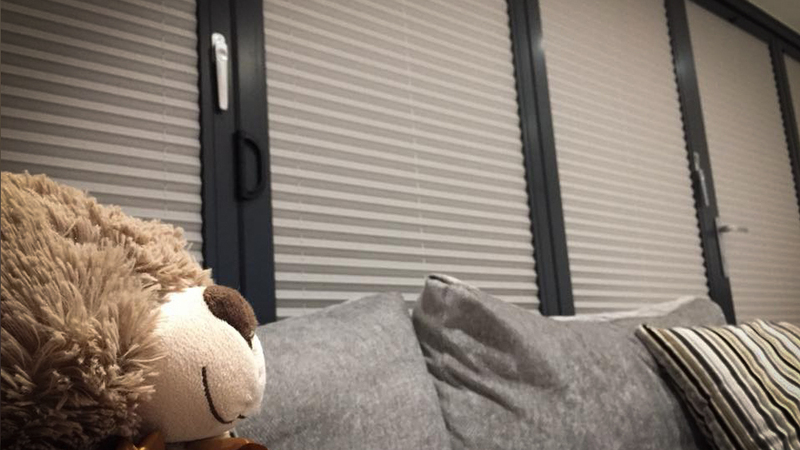 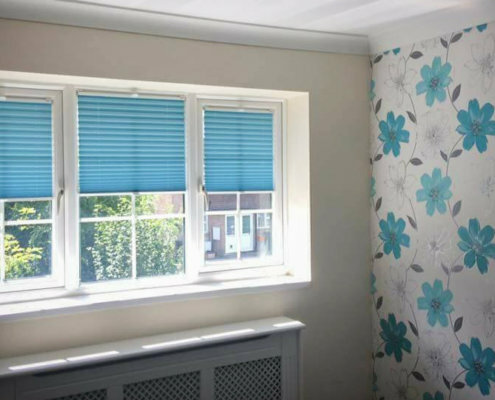 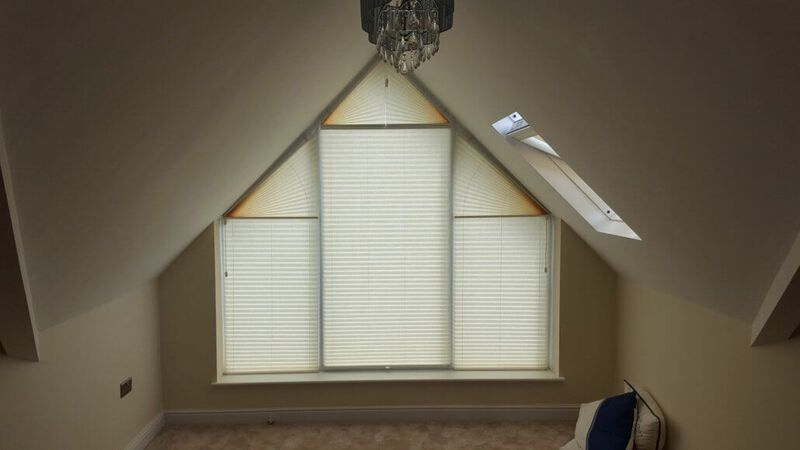 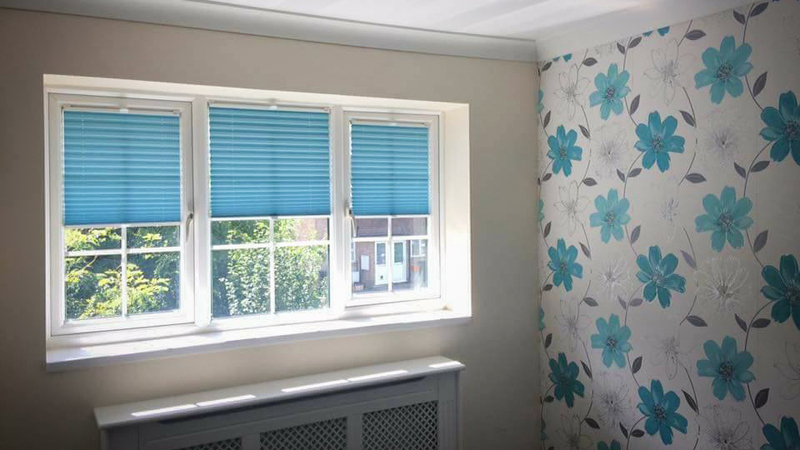 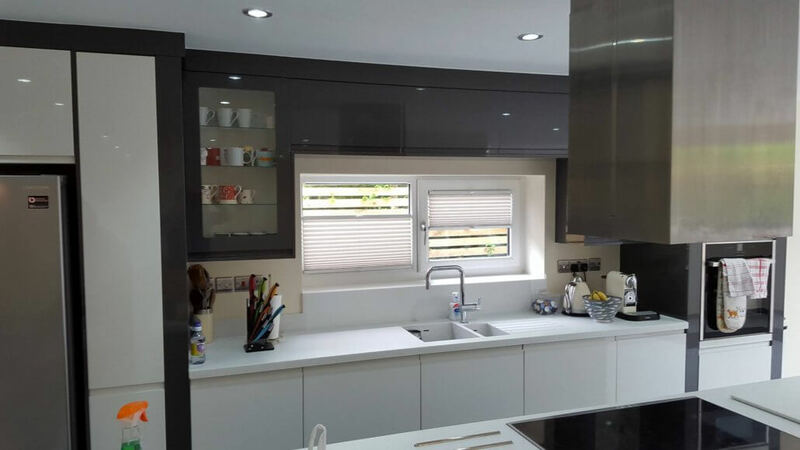 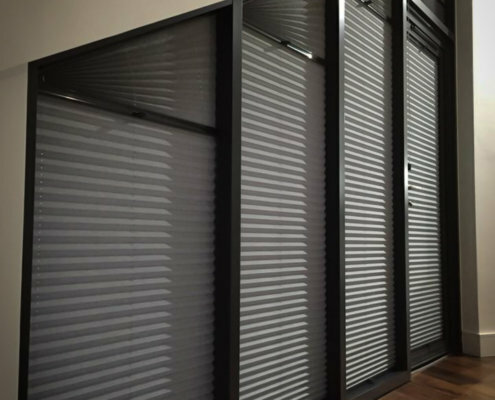 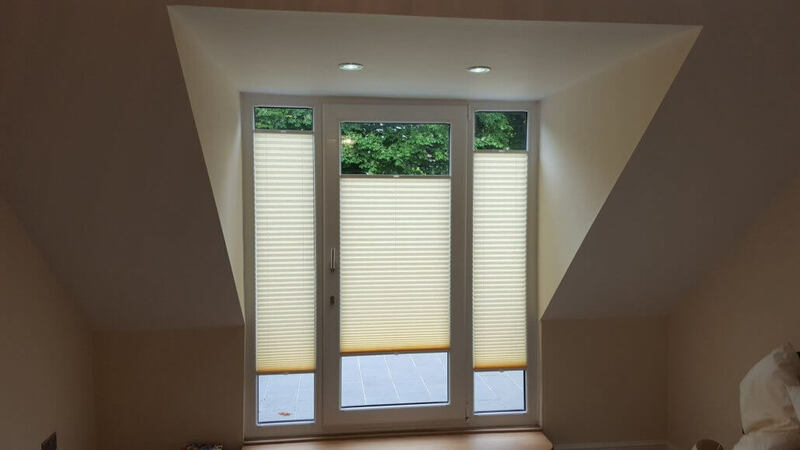 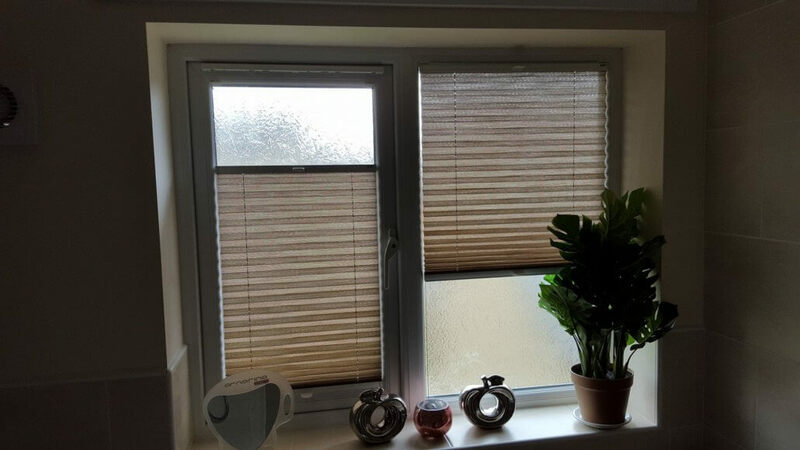 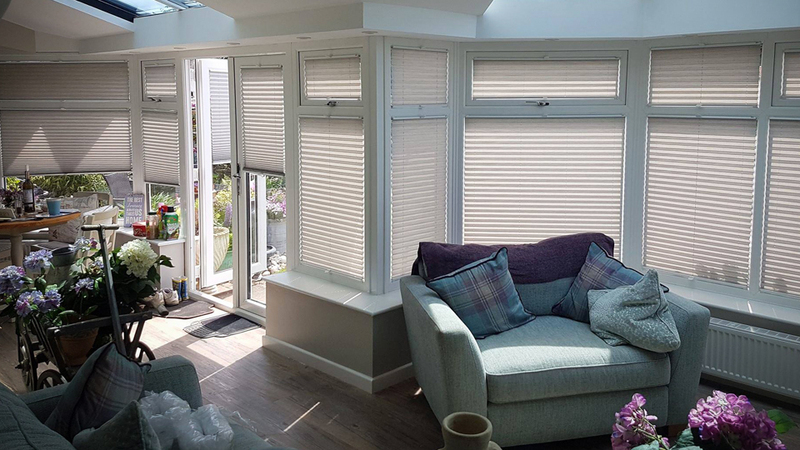 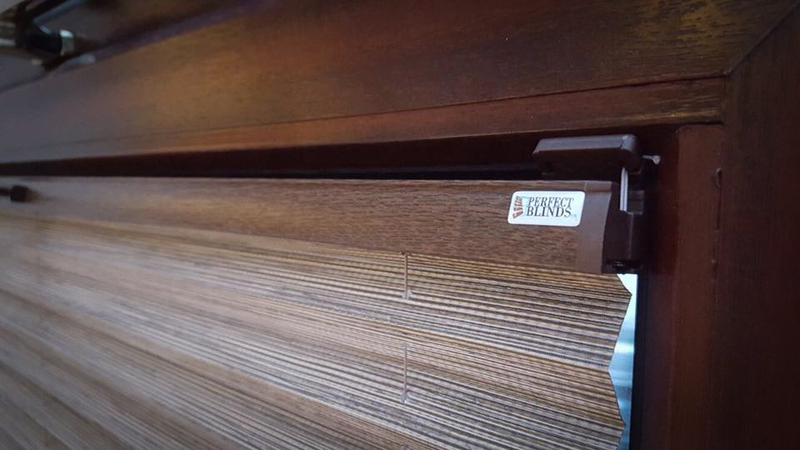 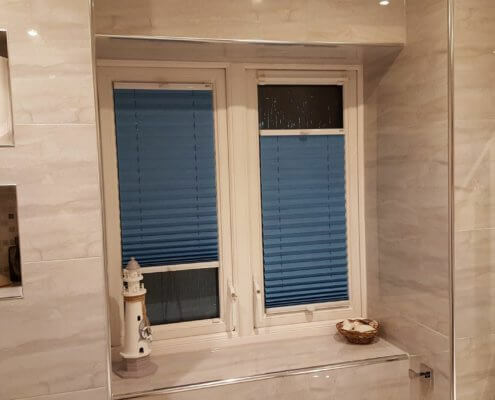 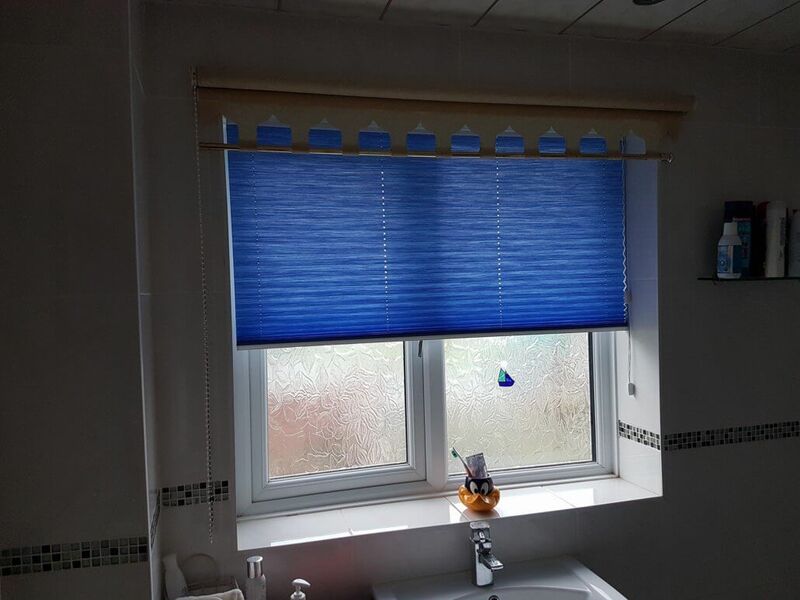 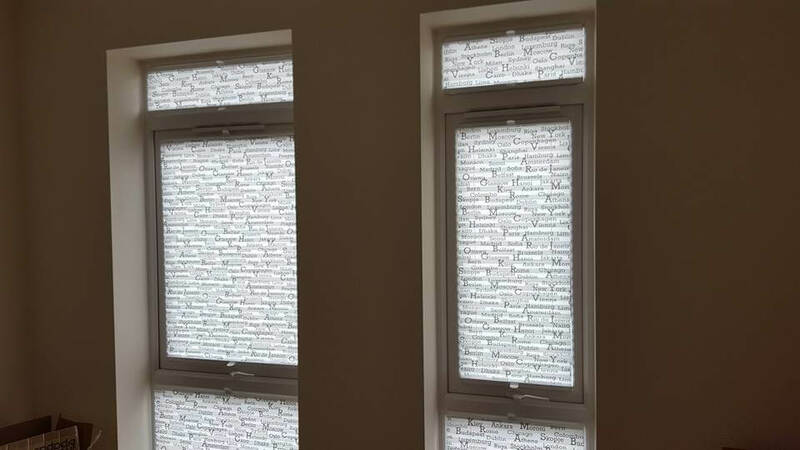 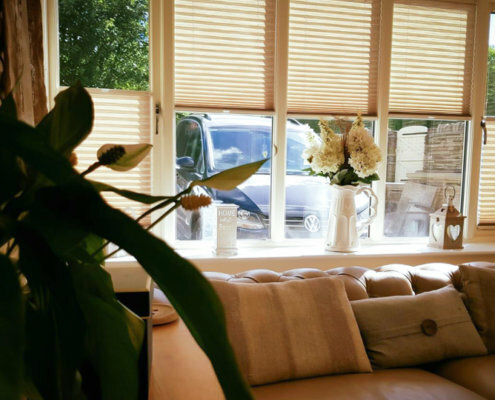 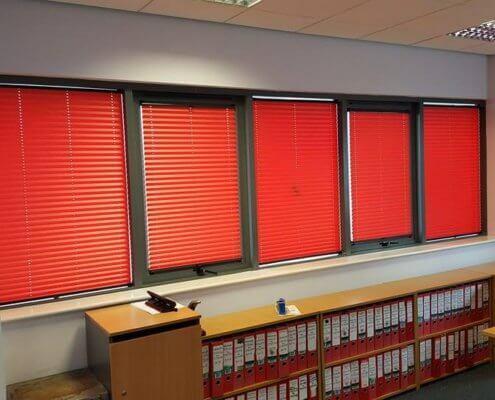 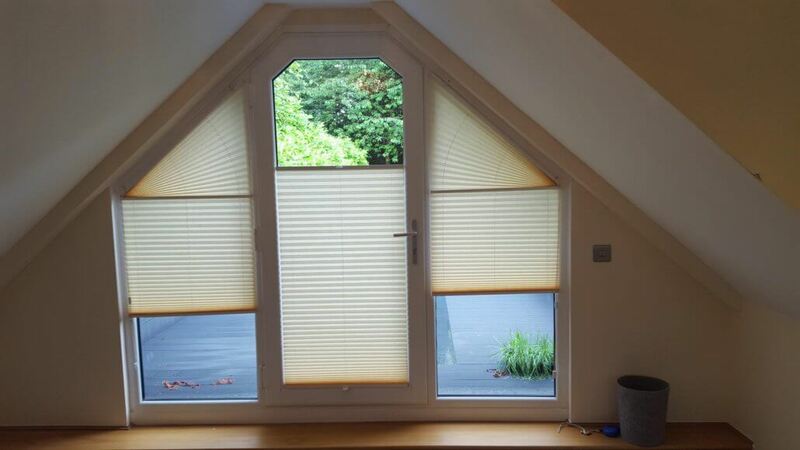 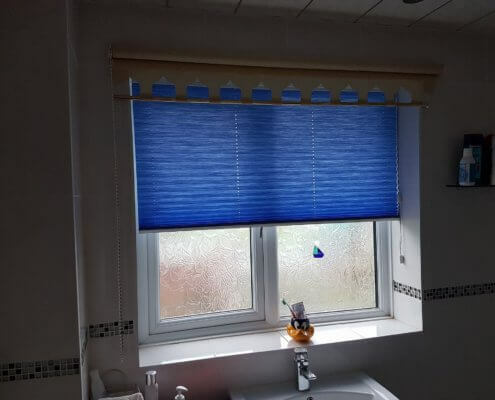 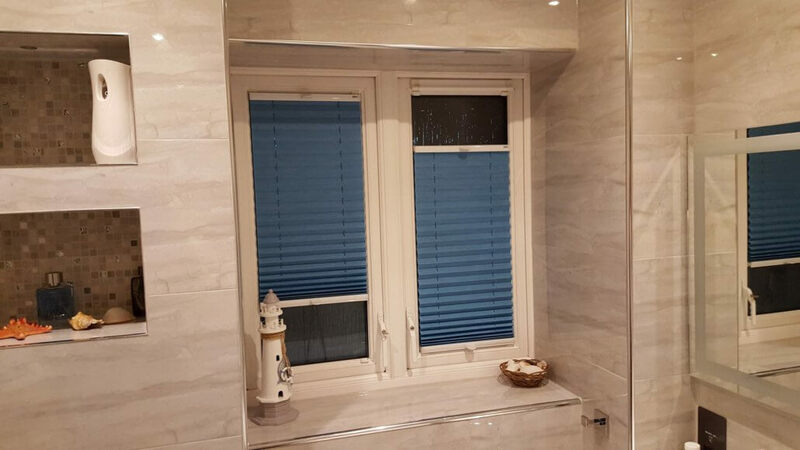 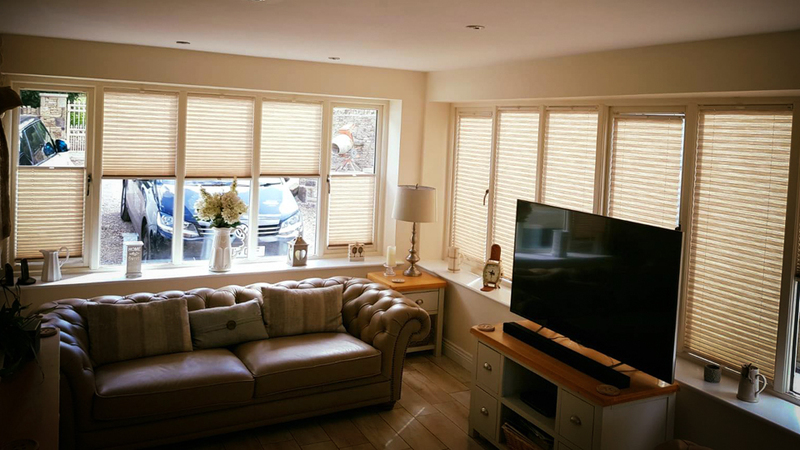 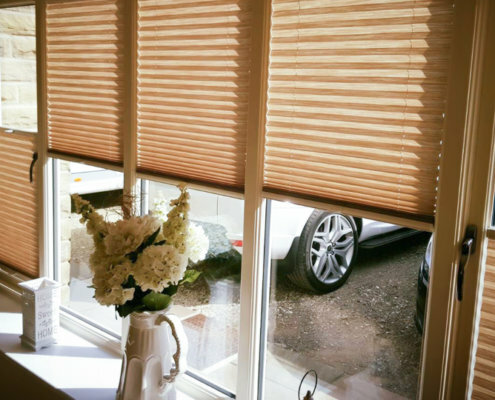 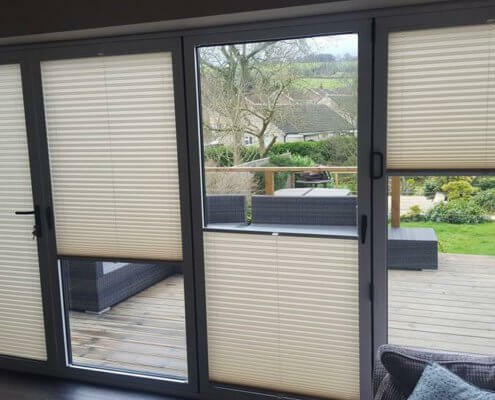 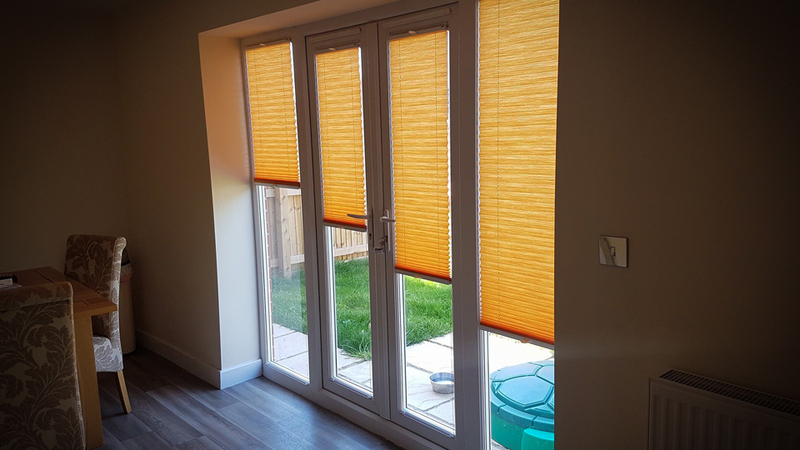 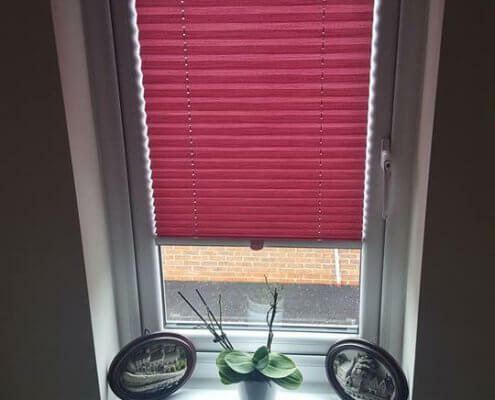 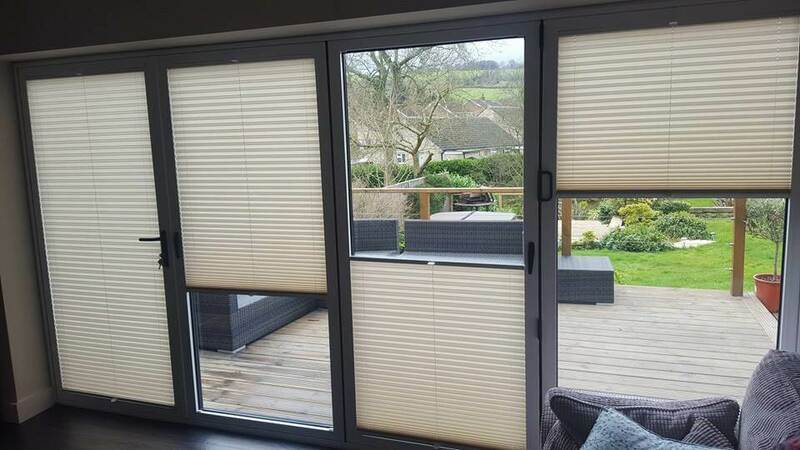 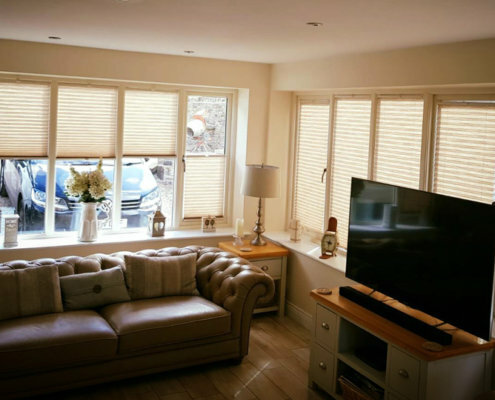 Pleated blinds are available in the width of 20 mm. 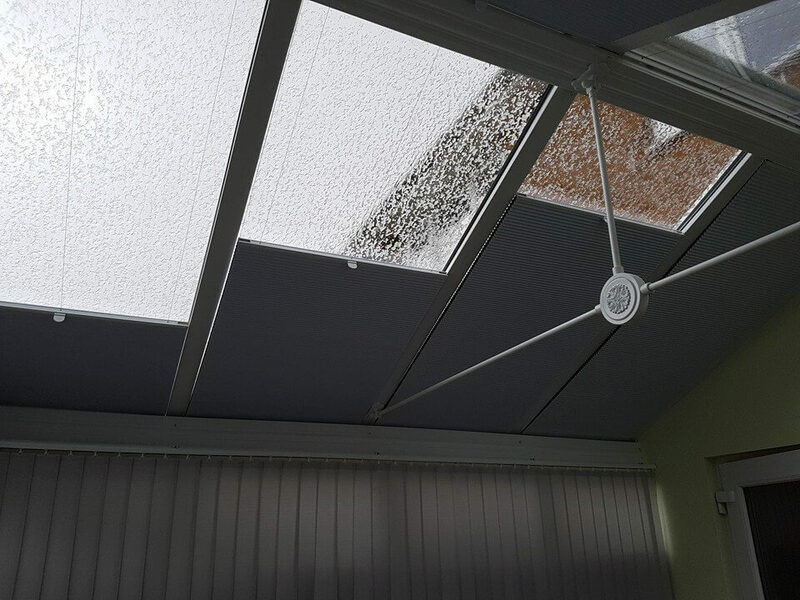 They fit perfectly in the space limited by glazing beads, so they do not restrict the opening of windows or doors. 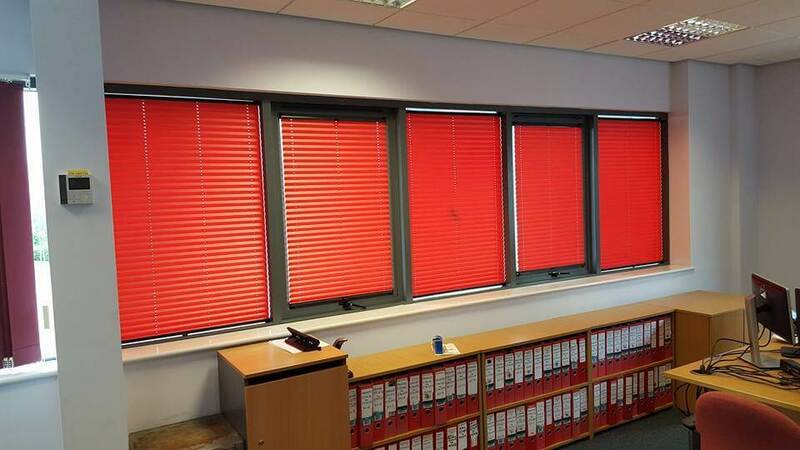 A simple way of in-house cleaning according to the attached instructions. 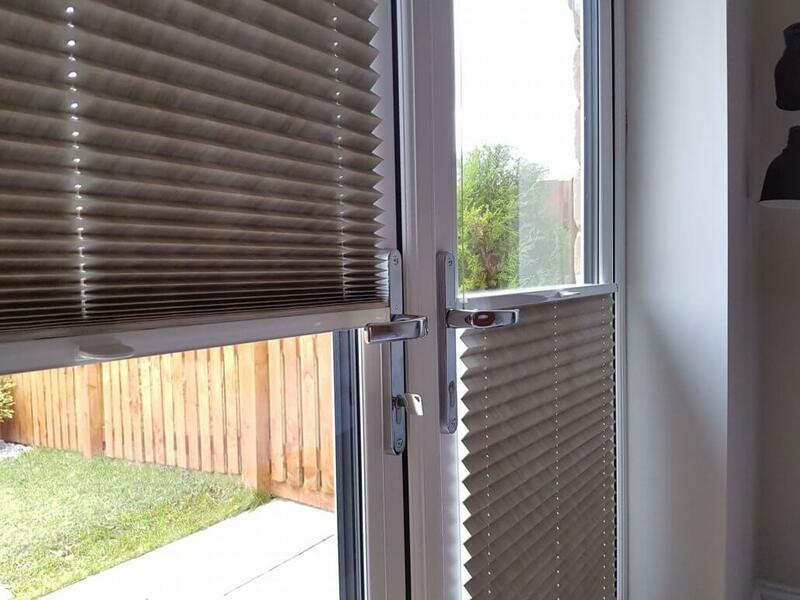 Easy assembly and disassembly /e.g. 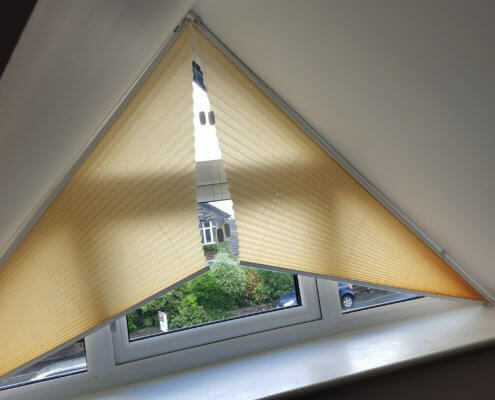 for window cleaning/. 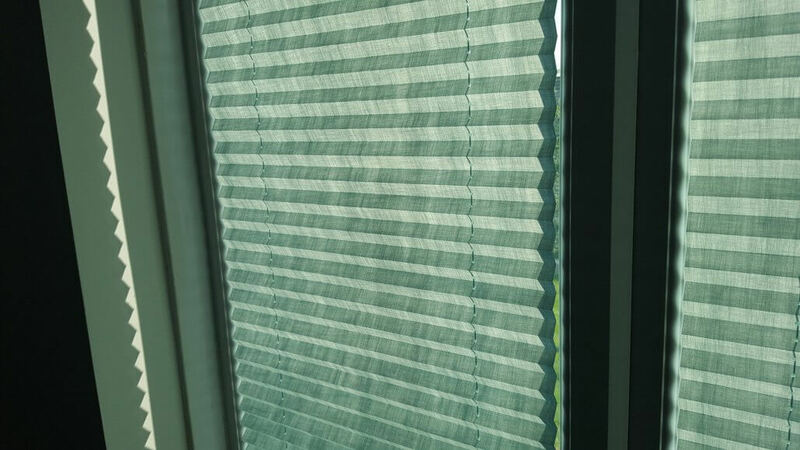 The advantage of pleated curtains is that they take up little space when folded. 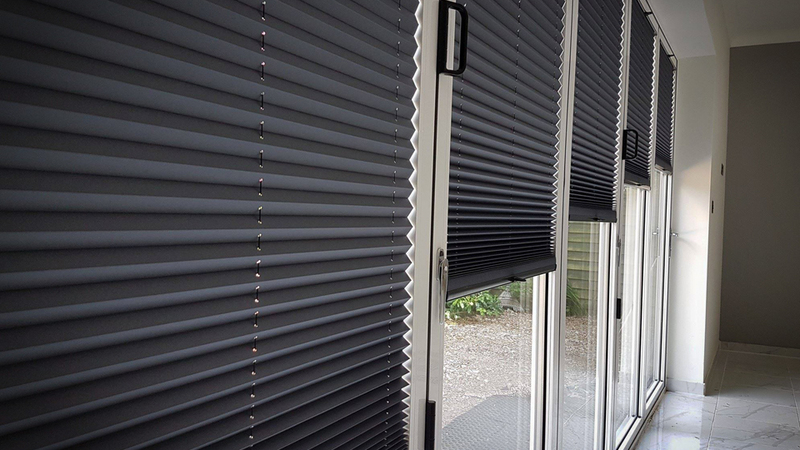 Pleated fabrics are made of polyester with high performance thermal and sun insulation. 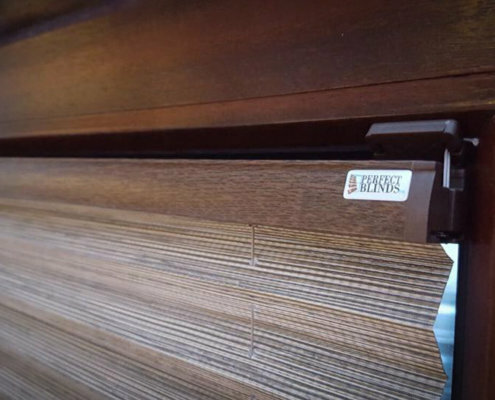 ALL OUR FABRICS ARE OKO-CERTIFIED – Tex Standard 100.